Is Detox from Tramadol Dangerous? Tramadol, an opioid pain reliever, is commonly used after surgery, to cope with chronic pain, and occasionally for the relief of dental pain. In addition to alleviating pain, tramadol inhibits the re-uptake of serotonin and norepinephrine, which can result in more complex mood influences than the more typical opiate analgesics. When you use tramadol for an extended period, it can steadily change your brain chemistry - the development of chemical dependence develops as a result. As you become more and more dependent, your body begins behaving as if you need tramadol to survive. Thus, when you suddenly stop using, you'll experience intense cravings, as well as both physical and psychological effects. This process can make it tough to think clearly, and makes the temptation to use tramadol almost irresistible. If you want to get sober, you'll need to eliminate tramadol's influence on your mind and body, and detox is the only way to do it. Tramadol is an opiate, which means that detox can be quite difficult - perhaps more so than some other non-opiate drugs of abuse. Nevertheless, tramadol detox is rarely dangerous. You use tramadol in conjunction with other drugs. You have a history of heart problems or mental illness. You are in poor physical health. Otherwise, detox will be unpleasant, but it is unlikely to harm you. If you experience frequent vomiting, signs of dehydration such as a dry throat or develop suicidal thoughts, contact a medical provider right away. Though detoxing alone is unlikely to be physically dangerous unless you have an underlying health problem, Tramadol withdrawal it still poses numerous risks. Most notably, the cravings for tramadol will get progressively more intense, and few addicts are able to resist them without help. You Are Not Alone Hear from others on their journey through addiction and recovery If you suffer from depression or anxiety, or if you use Tramadol to cope with chronic pain, your symptoms will likely worsen during the detox process, increasing the temptation to use. Many addicts describe detox as the most challenging experience of their lives, and no one should be forced to go through such an experience without the help of a medical professional. Importantly, tramadol withdrawal has serious consequences, like a disorder called serotonin syndrome. If you develop side effects related to your use of tramadol, these effects won't immediately dissipate when you quit using, so it's of paramount importance to talk to your doctor. It is clear that tramadol can be addictive even for prescription users, but recovery is possible and begins with detox. If you need a path out of the pain of addiction or want help for a loved one, call 1-888-993-3112Who Answers? to find a tramadol detox and treatment option suitable for your needs. If you began using tramadol under a doctor's supervision, medically assisted detox could help you find more effective ways to treat the underlying condition and manage the subsequent withdrawal symptoms. Your doctor may prescribe additional drugs, suggest lifestyle remedies, or advise gradually tapering down your dosage. Even if you're a recreational user of tramadol, though, medically assisted detox can mean the difference between permanent recovery and an early relapse. Long acting opioids such as methadone may, in some cases, help wean one off of tramadol. Your medical team will implement non-narcotic pain management strategies, and otherwise offer supportive medical care. For example, your doctor may prescribe an anti-nausea medication if needed. Because it's an opiate, tramadol slows down activity in your brain, leading to feelings of depression and sluggishness. These feelings may intensify when you quit the drug, particularly if you have used it on a long-term basis. Extreme changes in heart rate. Tramadol stays in your body between three and five days after your last dose, though long-term users may need up to a week for the drug to fully exit their systems. Detox symptoms tend to get progressively worse from the time you stop tramadol through the first week, usually peaking around the time tramadol fully leaves your body. After that, the physiological symptoms of withdrawal will rapidly dissipate. Psychological symptoms, like anxiety and depression may linger for several weeks after you quit using, and you may experience cravings for several months. Over time, the cravings diminish, and the cravings you experience a month into sobriety will be nothing compared to those you encountered during detox. As you grow accustomed to life without tramadol, though, your cravings will slowly diminish, and in most cases will eventually disappear. The time it takes for cravings to disappear depends on how much effort you put into your recovery, but can range from a month or so to a year or more. There's no single "right" way to detox from tramadol. Indeed, as long as you seek help that works with your values and lifestyle, you're on the right track. Though many inpatient rehab centers offer detox services, and a handful of facilities offer short-term inpatient detox, most tramadol detox programs operate on an outpatient basis. This means you can continue living your life as you work to get sober. 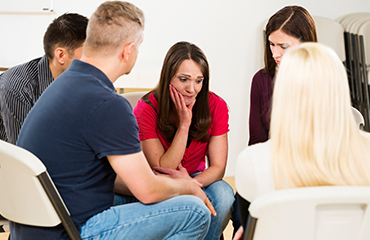 Depending on the facility you choose, you'll get some combination of medical care and psychological assistance, and may also gain access to support groups, community referrals, and classes on sober living. Shorter-term or less severe cases of dependency. People with low health complications. People who take relatively low doses of tramadol. With such a program, you'll get supportive care and medical monitoring, but you'll still maintain your independence, making outpatient care ideal for addicts who are confident in their ability to recover. Who have abused tramadol for more than a year. Who have physical or mental health issues, who take multiple drugs. Who use tramadol at high doses. Inpatient care offers round-the-clock medical assistance, as well as the support and encouragement you'll need to get and stay sober. Whether you choose inpatient or outpatient care, your recovery team will help you determine how quickly to cease your use of tramadol. In most cases, you'll go cold turkey, but some users have more success gradually tapering down their dosage or temporarily replacing tramadol with another opiate, such as methadone. Once you complete detox, you'll need to develop a plan for your long-term sobriety. 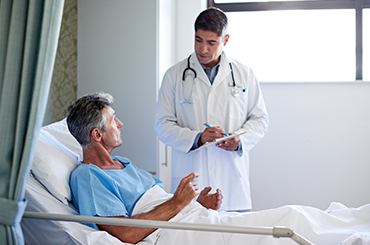 Many find that some combination of inpatient rehab, 12-step programs, and therapy are helpful for achieving this goal. The journey to sobriety is not an easy one, but getting clean is possible. Indeed, it's mandatory if you want to lead a healthy, happy life. To find help for yourself or for someone you love, please call 1-888-993-3112Who Answers? to get information about effective tramadol detox and treatment programs. The fight to get off of tramadol is a fight for your life. Not only are you taking steps to protect yourself; your decision to get sober will also affect everyone who loves you. Don't rush into treatment. Take your time finding a program that feels comfortable for you, since a program where you feel unwelcome or uncared for is unlikely to work. Don't shy away from asking pointed questions, and consider visiting the program to see what detox will actually look like. You deserve the best possible treatment and doing your research on the front end can save you time and money while reducing your risk of relapse.